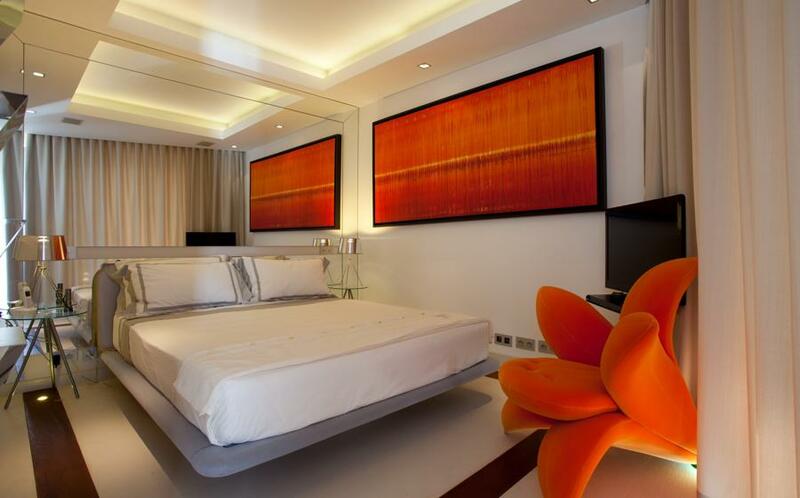 Turndown service every day except Sunday and public holidays. 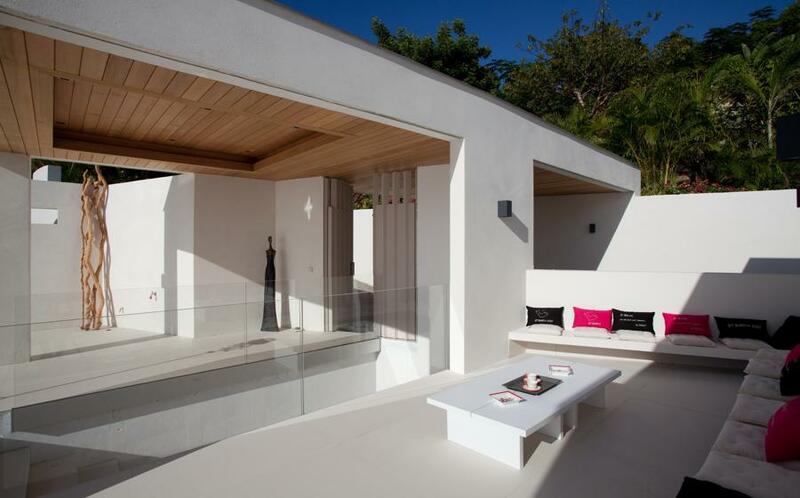 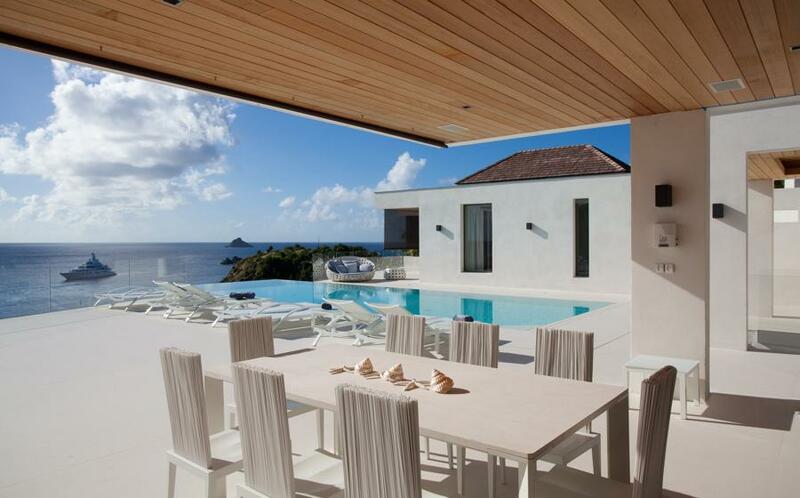 After a year of construction, this small local cabin became one of the most awesome brand new villas in Saint Barts called Vitti. 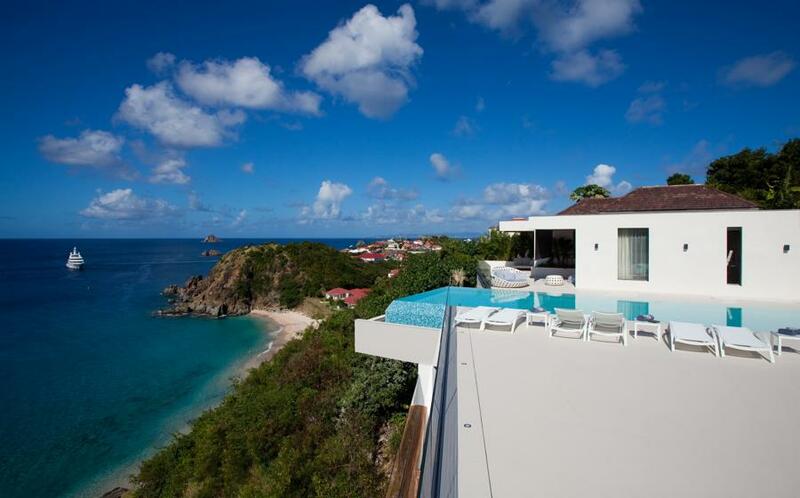 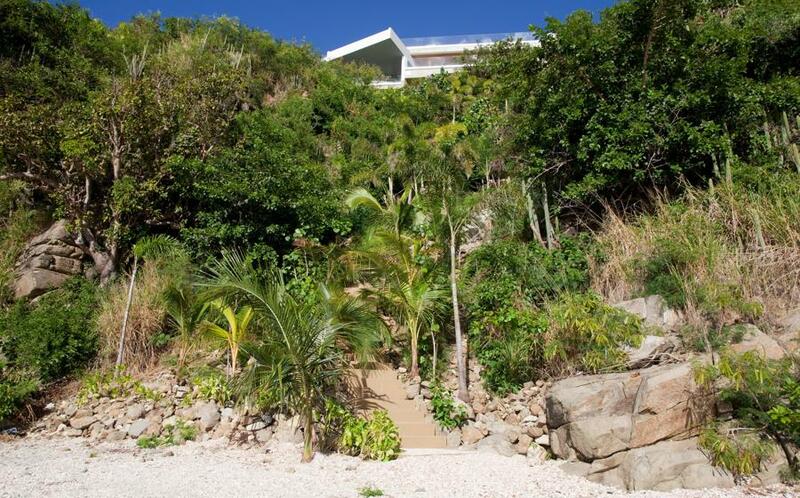 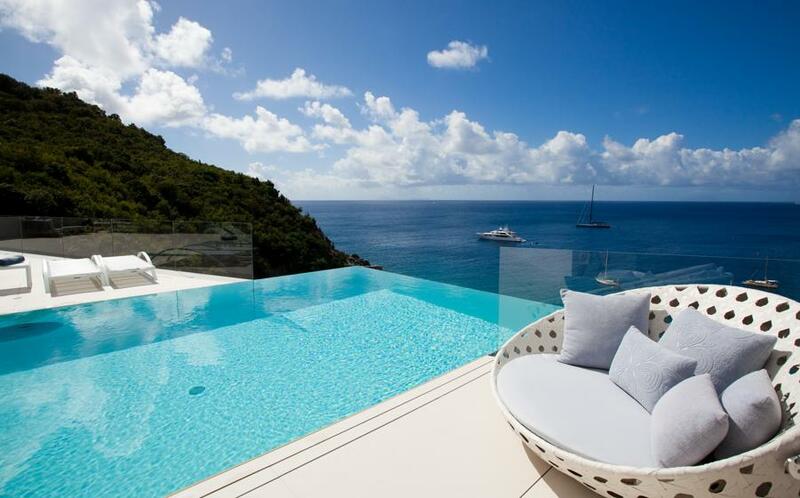 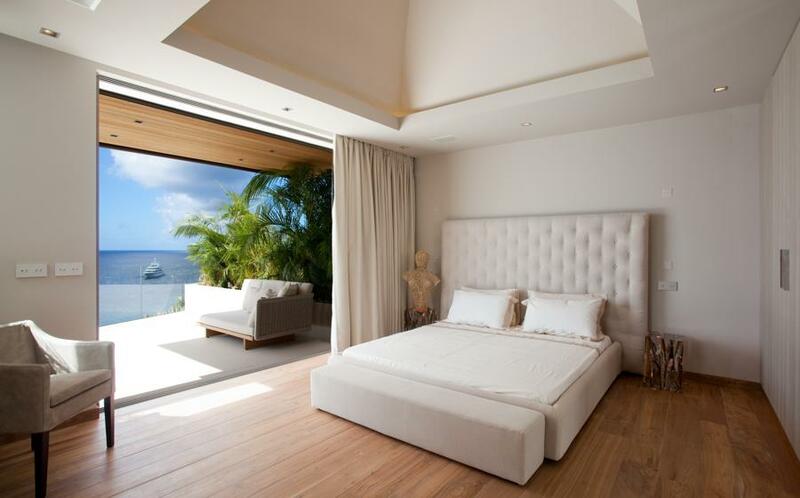 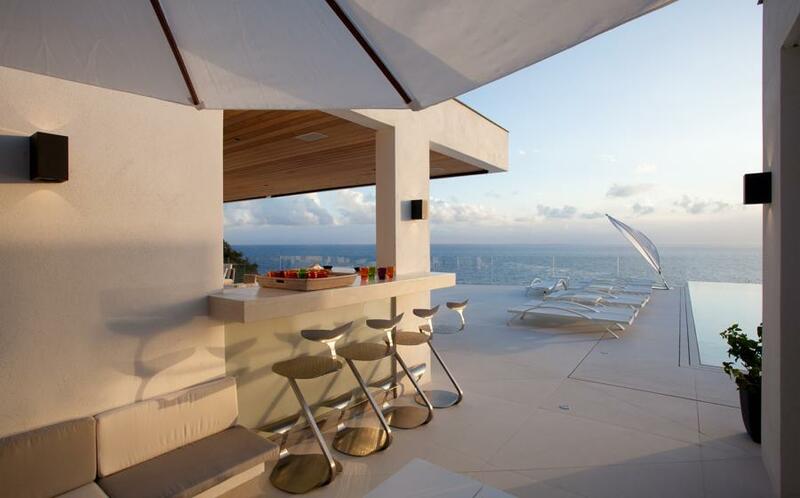 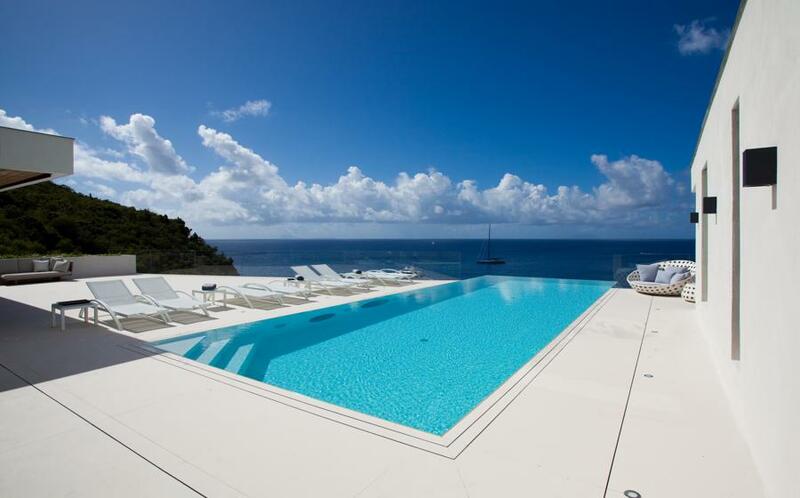 Hanging above Shell Beach, this new five bedroom villa combines all of the amenities necessary for an unforgettable stay in Saint Barts. 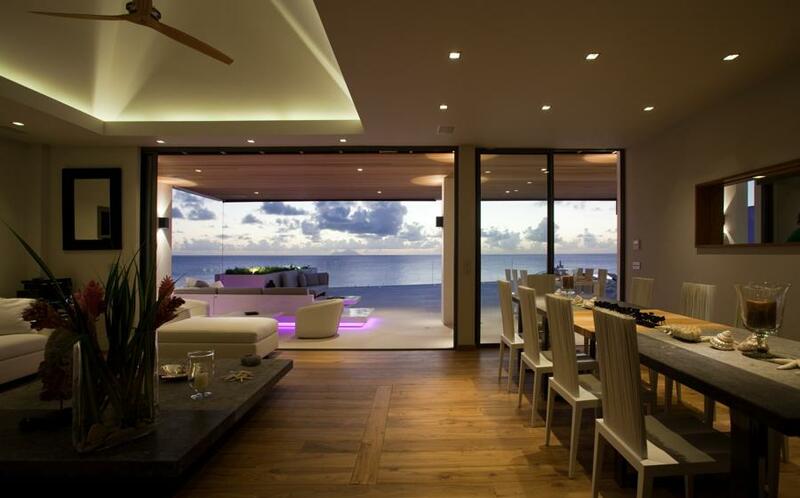 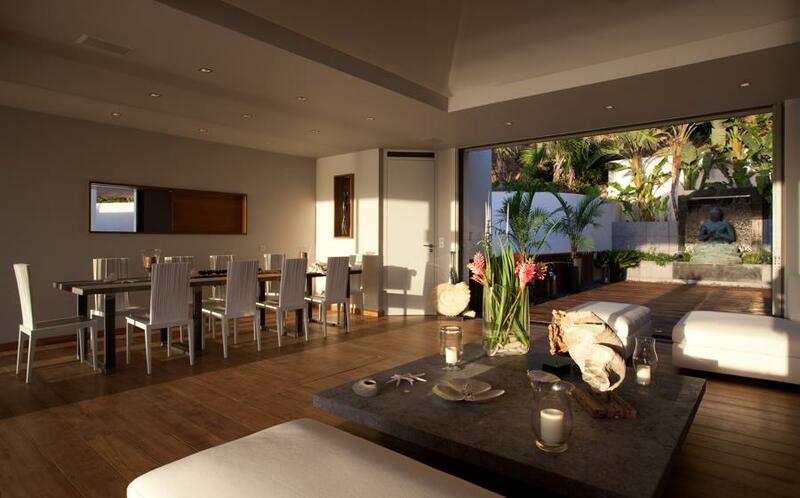 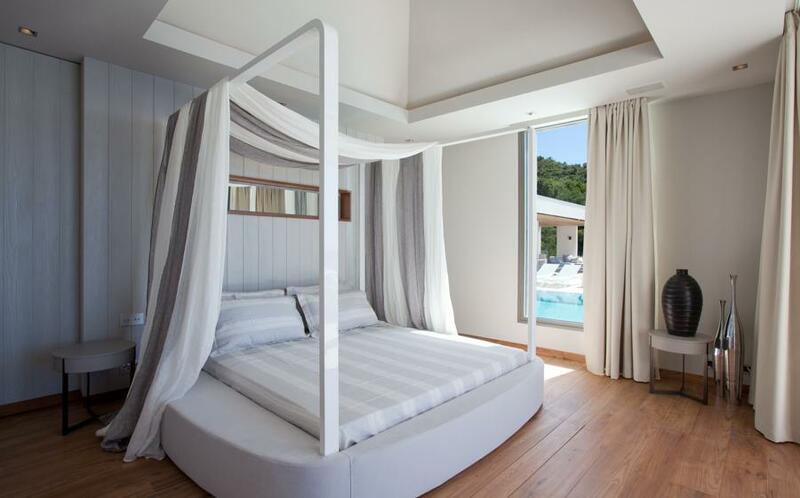 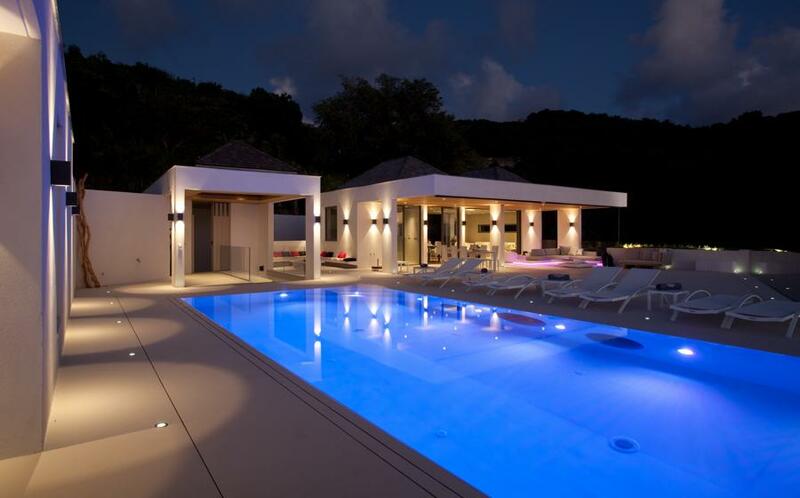 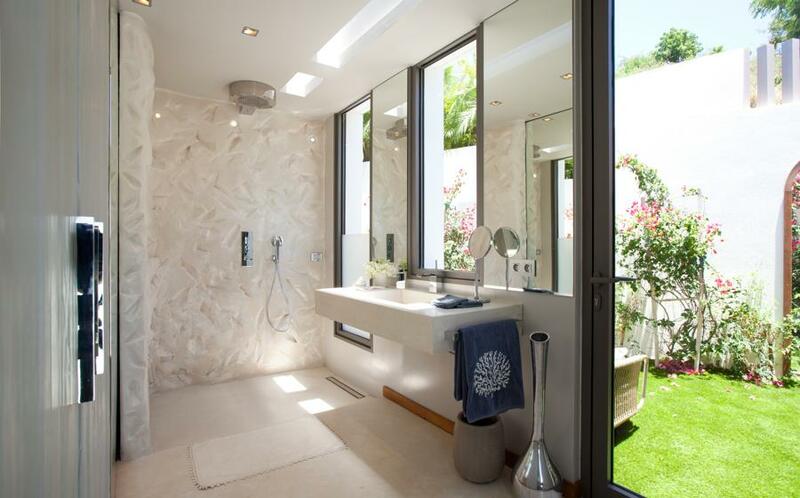 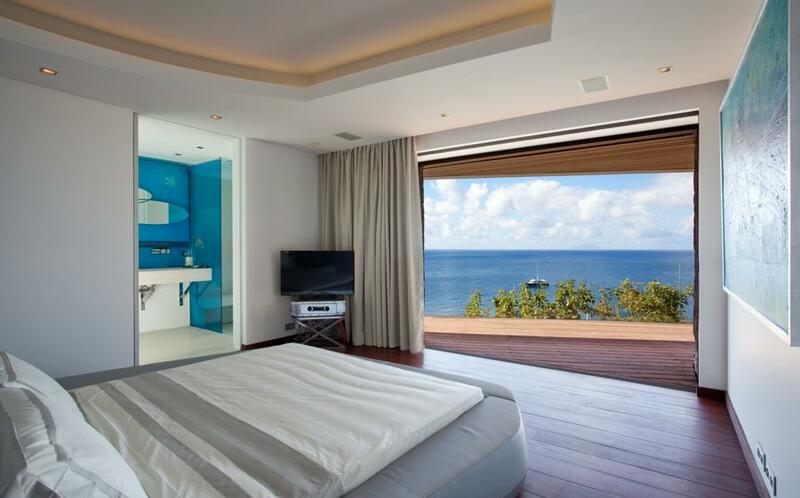 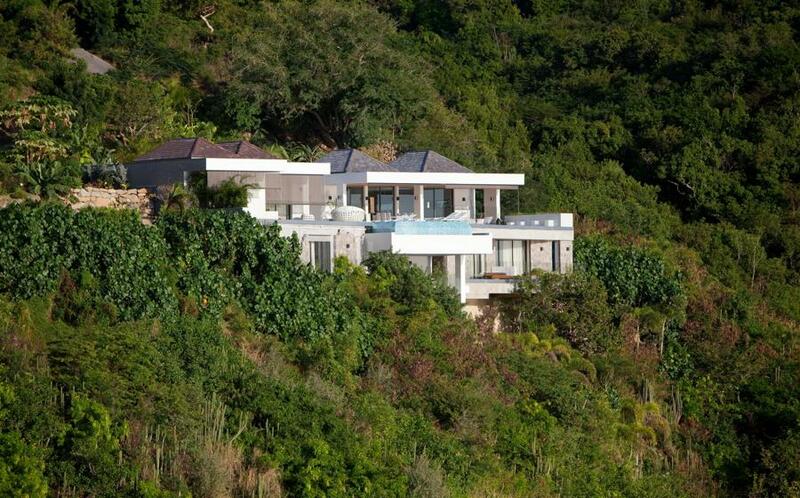 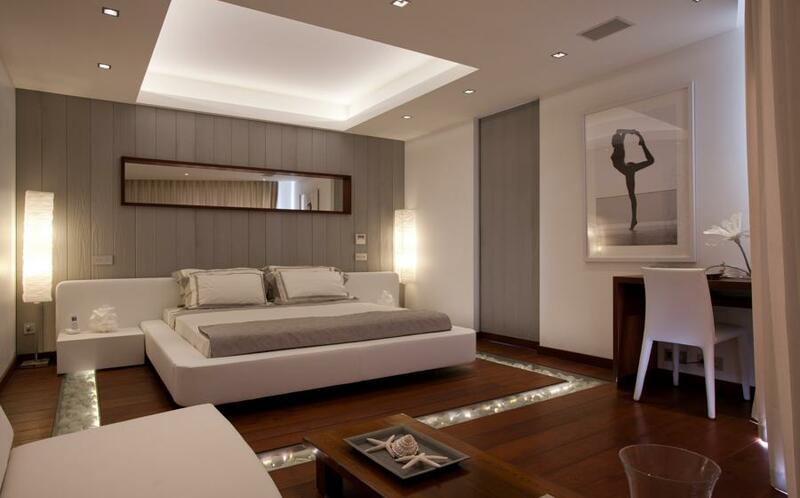 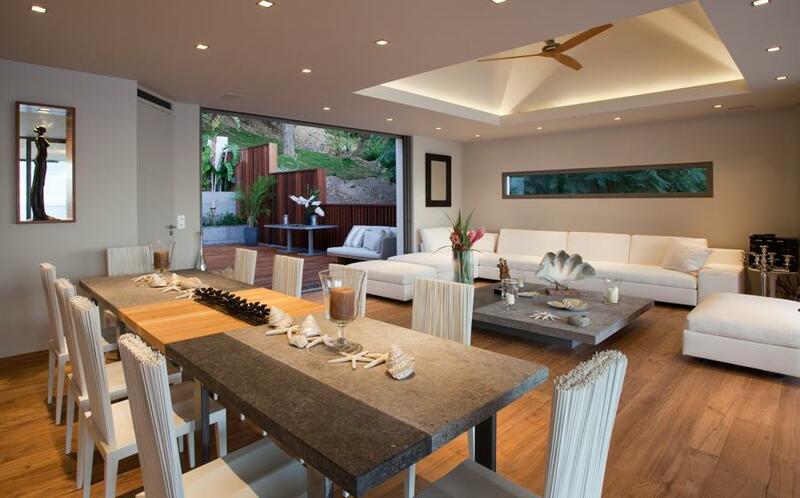 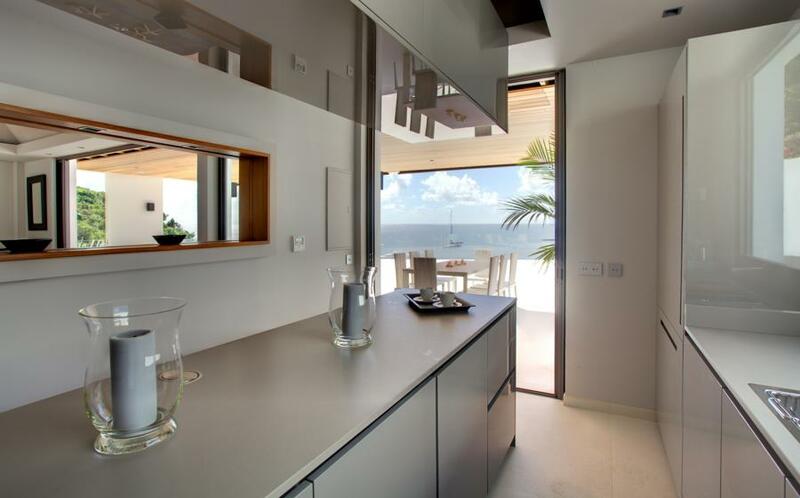 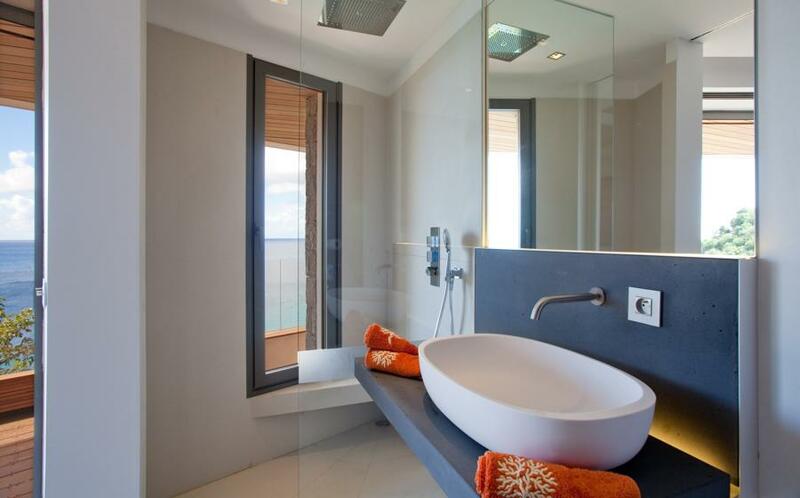 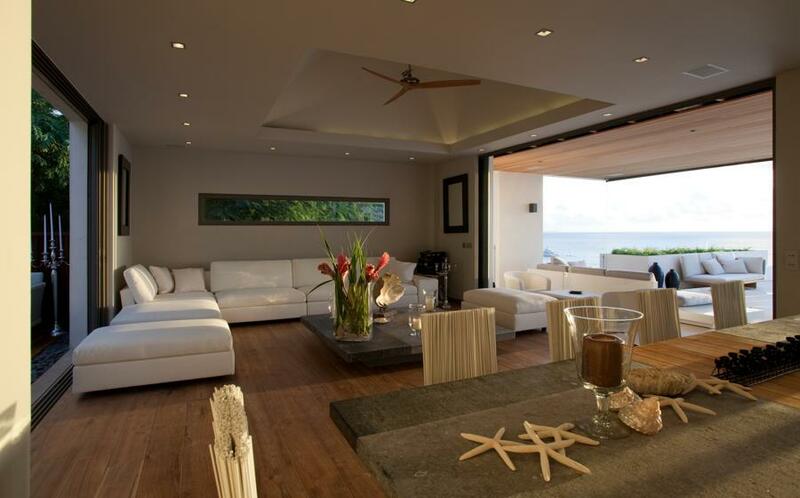 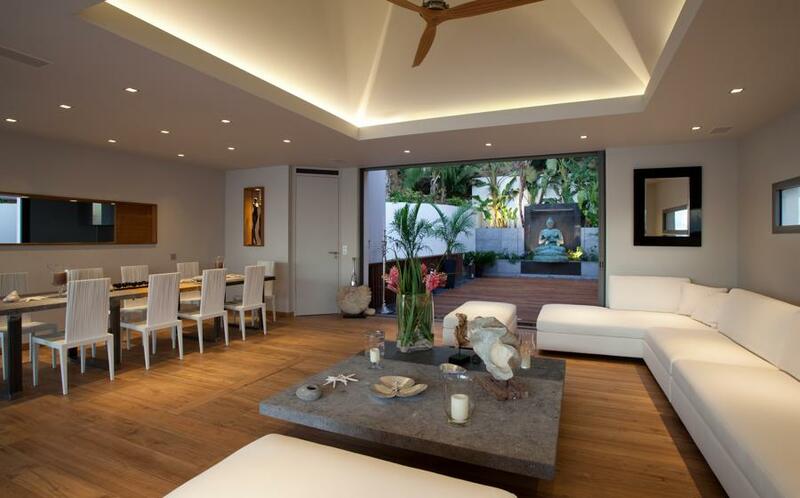 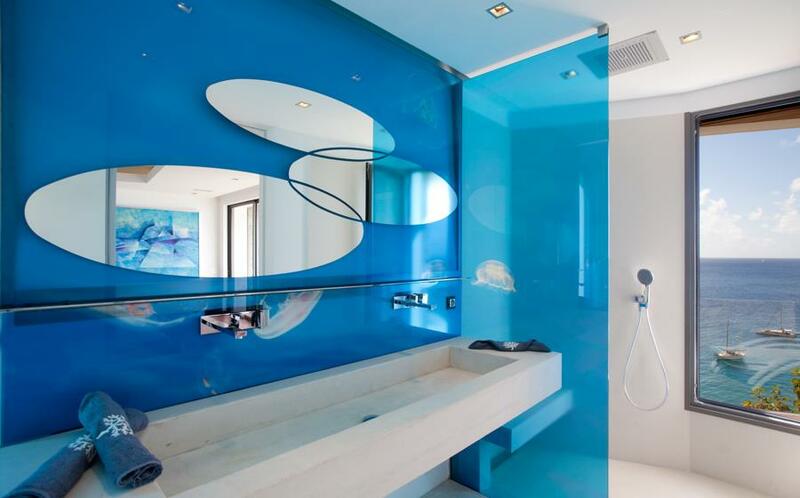 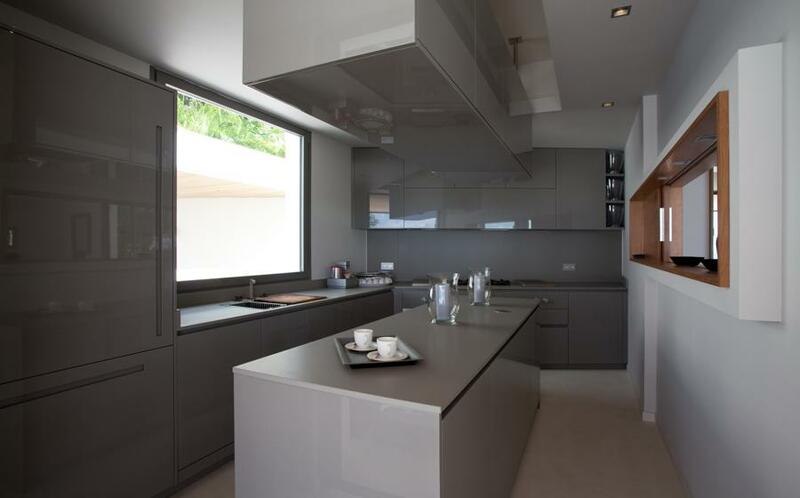 Bright and modern villa, fully equipped with the latest appliances. 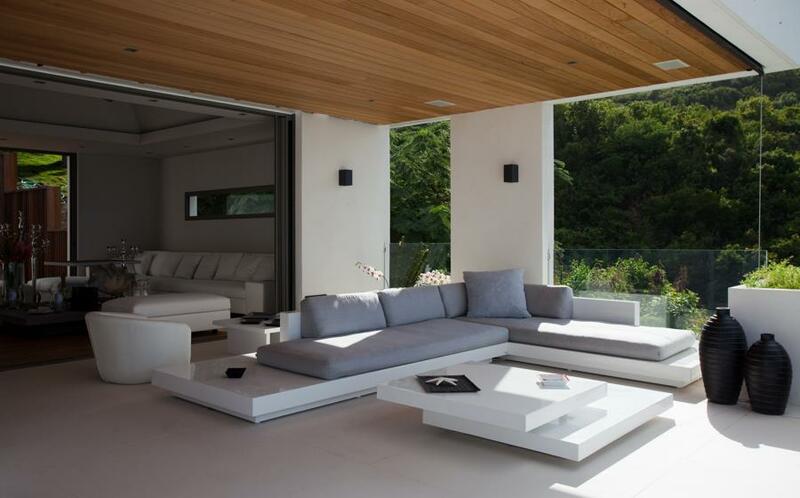 A place of truly exceptional level of aesthetic achievement and quality construction. 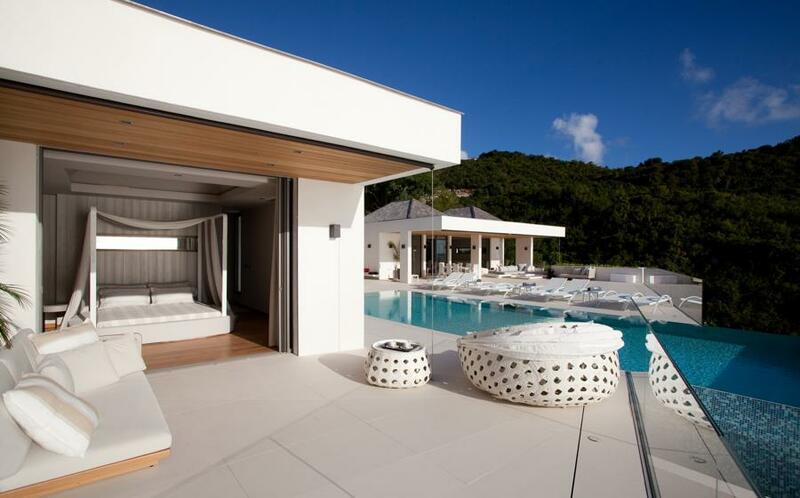 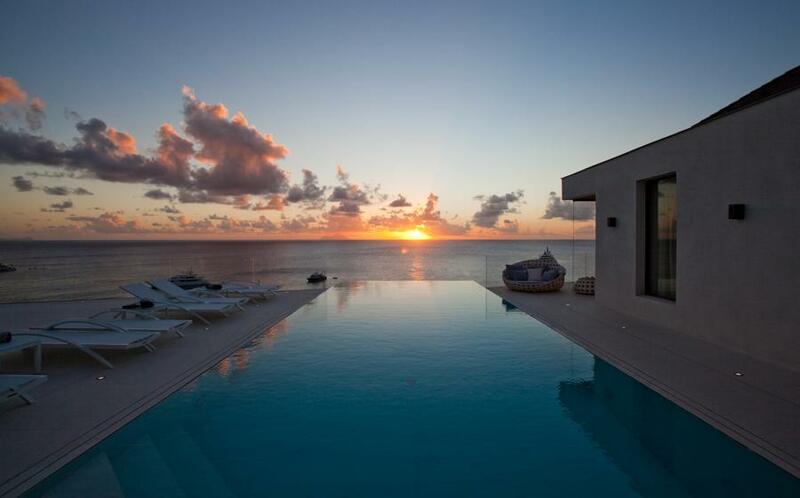 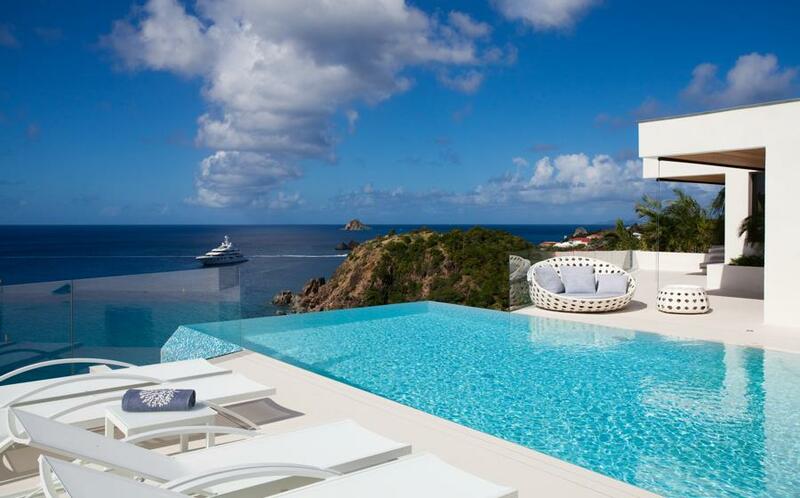 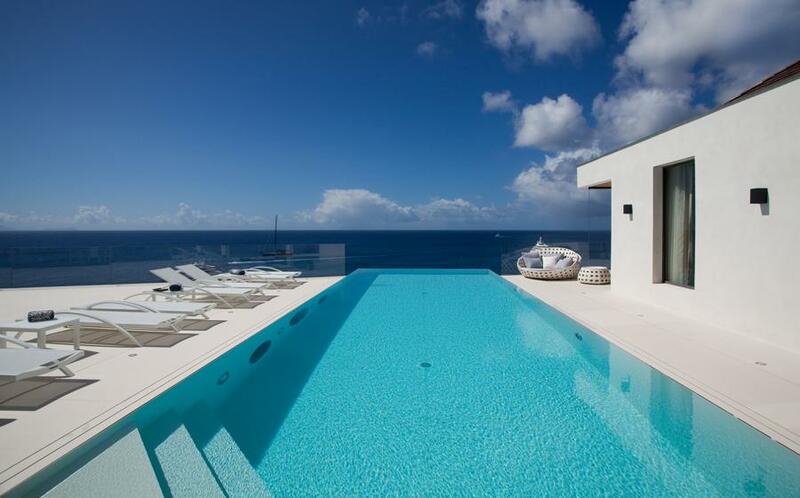 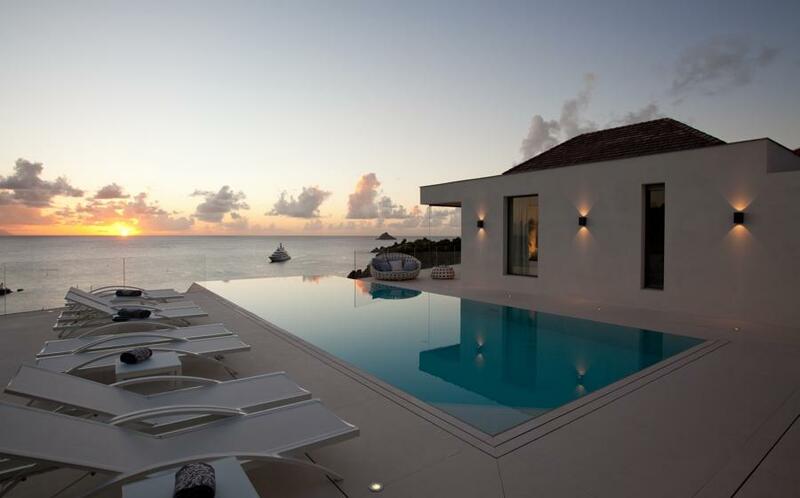 The vast, white-tile terrace and clear blue infinity pool represent the epitome of modernity. 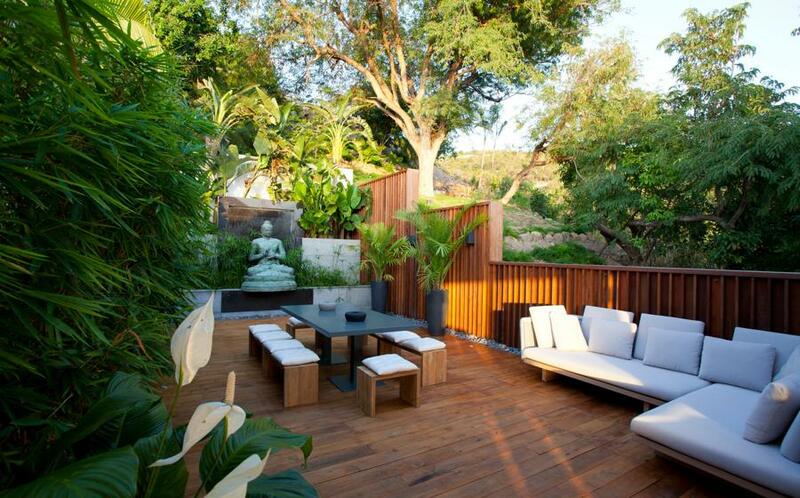 On the interior side of the living area is a peaceful and secluded Zen garden, surrounded by bamboo trees and offering a soothing atmosphere. 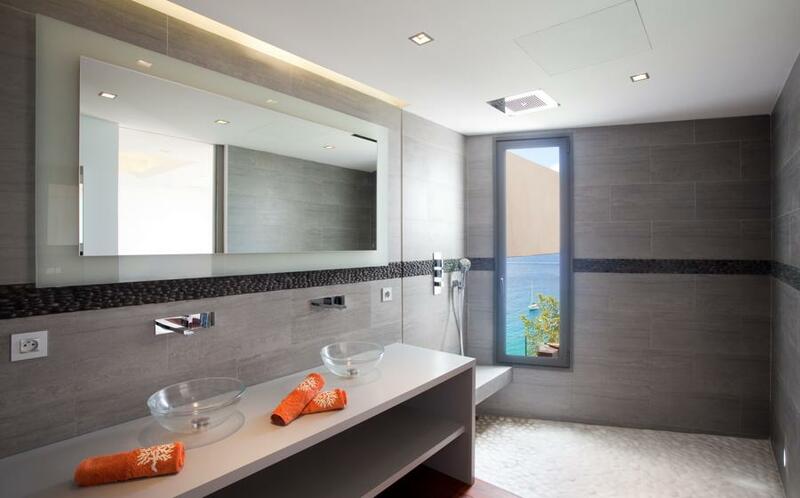 shower, bedroom under the villa., terrace with 2 lounge chairs. 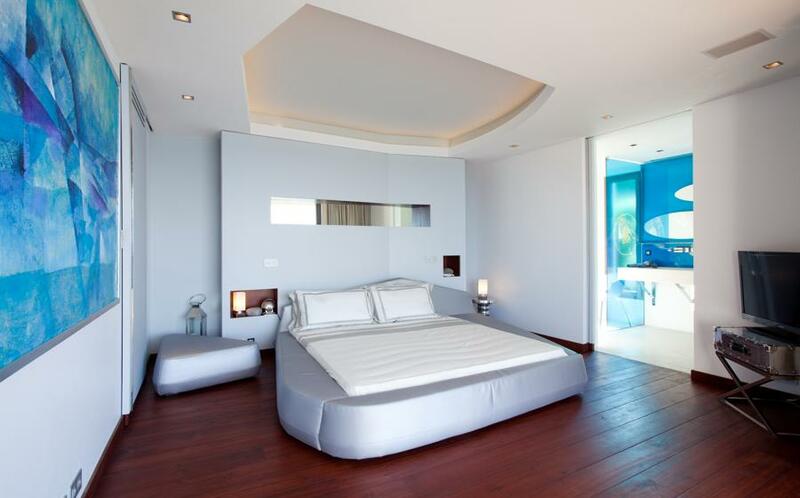 bedroom under the villa, smaller bedroom. 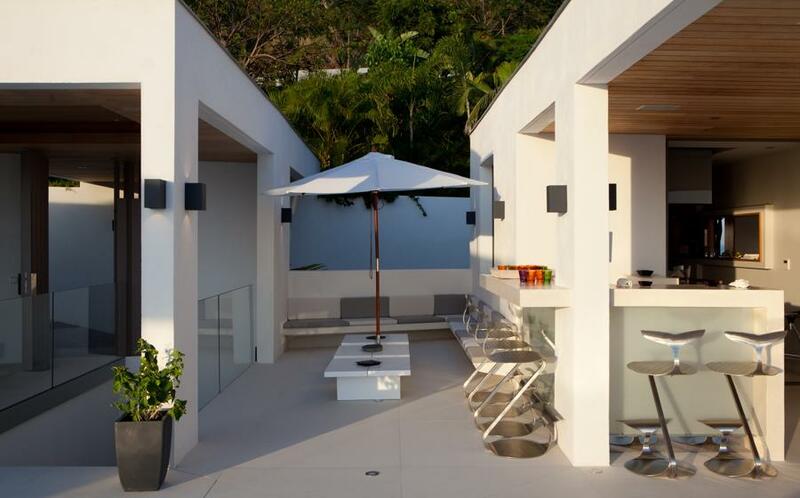 under the villa, terrace with 2 lounge chairs.